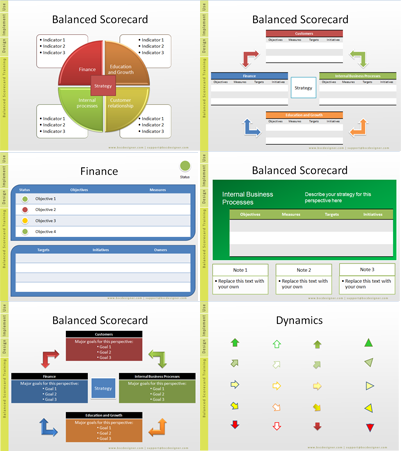 Balanced Scorecard PowerPoint (PPT) Templates with more than 40 ready-to-use PowerPoint slides that are helpful to demonstrate Balanced Scorecard concept in the presentation to stake-holders. 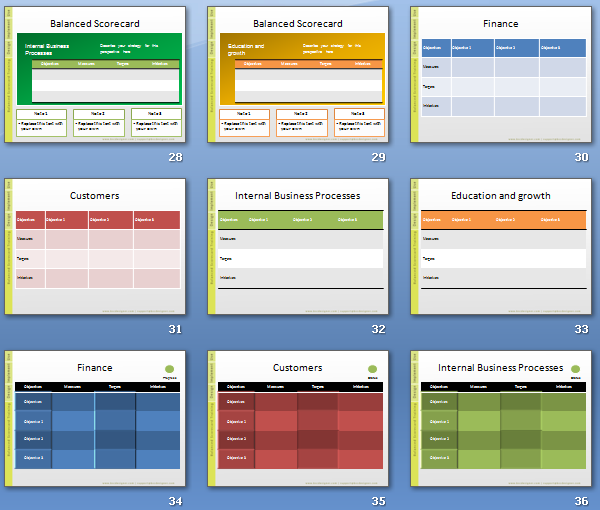 Buy together BSC Templates 1.0 and BSC Template 2.0 for $69 with more than 80 ready-to-use BSC templates. Please note: your order is not refundable. Before placing order please check free samples below. 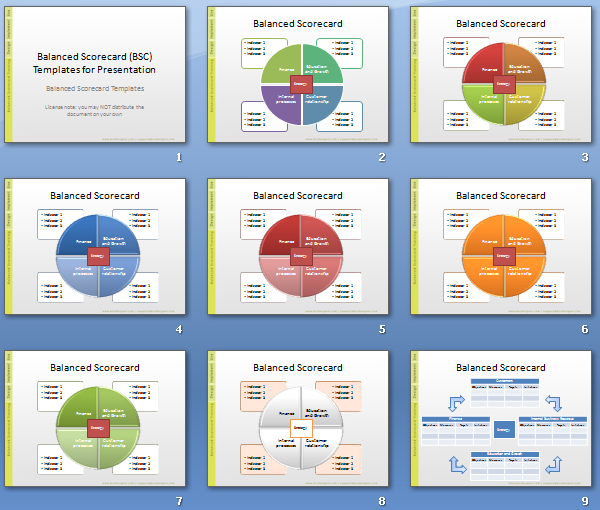 More than 40 PowerPoint slides necessary to present Balanced Scorecard. 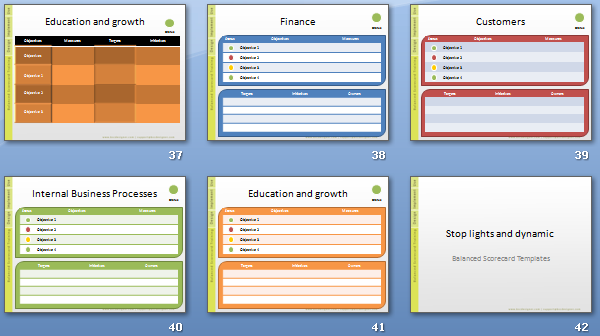 All slides include editable shapes and graphics that can be easily adjusted to your needs. 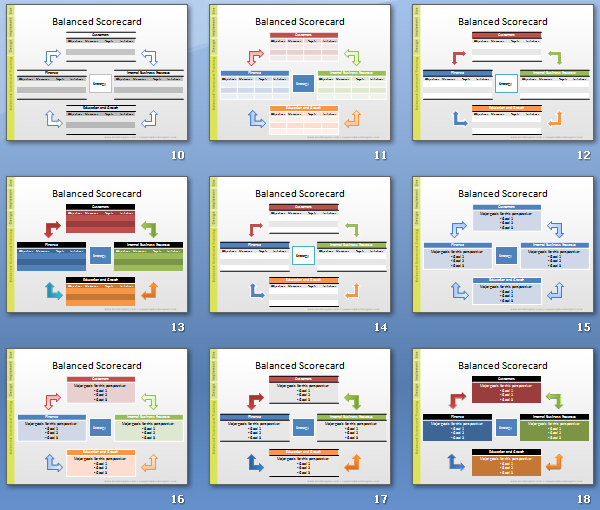 Various layouts and design examples suitable for on screen and projector presentations. Place for your own texts, descriptions and headlines. 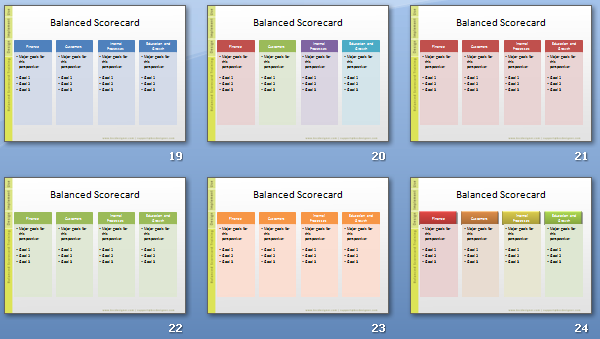 All slides are easily to edit and customize.